Like all travel photographers, I’ve always been captivated by the world. It’s a wonder, this orb we call home, and I never tire of its mysteries. The man-made structures are frequently beautiful and capable of leaving me slack-jawed with amazement; I defy anyone to spend some time wandering through the Hagia Sofia or Westminster Abbey and not feel humbled by those structures and the human spirit that went into strike of a hammer or chisel. May 2017, single image, additional exposures for highlights, focal length 24mm, aperture f/11, shutter speed 3 seconds, ISO 64, tripod. But it’s the natural world that continually intrigues and beguiles me. I’ve been fortunate enough to travel to far-flung destinations around the world, and I don’t think the world’s natural beauty will ever lose its hold over me. So I was thrilled for the opportunity to visit Namibia — a first for me. Like anyone with a case of wanderlust and a passport constantly in need of new stamps, I had seen enough photographs of Namibia to know the country is unlike any other place in the world, its landscape one that defies words. My first day in Namibia did not disappoint. I traveled with a group of photographers to the Quiver Forest, a place for which the photographs had not prepared me. 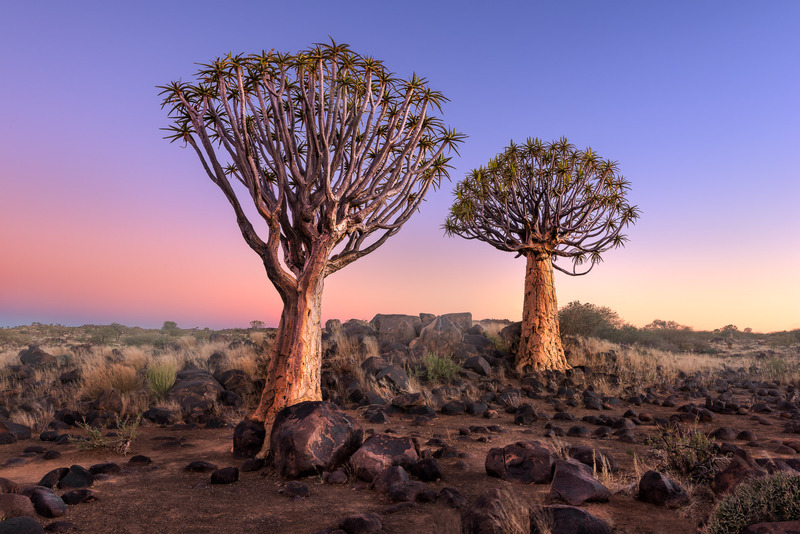 The Quiver Forest is actually privately-owned land — the Guriganus Farm — and the “trees” which make up this otherworldly forest are not actually trees at all, but plants. It’s a minor distinction because once inside this alien landscape, details such as that simply don’t matter. Their fibrous trunks are easy to hollow out and were once widely used as quivers for arrows, but again, that’s a detail that doesn’t really matter.